389 Commonwealth is located on the north side of Commonwealth, between Massachusetts Avenue and Charlesgate East, with 387 Commonwealth to the east and 391 Commonwealth to the west. 389 Commonwealth was designed by architect Obed F. Smith and built in 1885-1886 by Charles H. Dodge, mason, for building contractor George Wheatland, Jr., for speculative sale, one of six contiguous houses (381-383-385-387-389-391 Commonwealth). George Wheatland, Jr., is shown as the owner on the original building permit application for 381 Commonwealth, dated December 15, 1885. At the same time, George Wheatland, Jr., was having six more houses built at 430-440 Marlborough, on the lots to the north, behind 381-391 Commonwealth, also designed by Obed Smith and built by Charles Dodge. 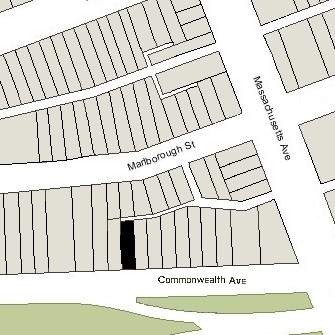 Click here for an index to the deeds for 389 Commonwealth, and click here for further information on the land west of Massachusetts Avenue between the south side of Beacon and the north side of Commonwealth. By the 1887-1888 winter season, 389 Commonwealth was the home of Josiah Bradlee Kendall and his wife, Elizabeth (McPherson) Kendall. They previously had lived at 79 Worcester. Josiah Kendall was a stone and granite dealer and formerly had been a hide and leather merchant. He subsequently became a real estate dealer. When they first moved to 389 Commonwealth, the Kendalls leased 389 Commonwealth from George Wheatland, Jr. Josiah Kendall purchased the house from him on November 23, 1888, and on January of 1889, he purchased 391 Commonwealth from him. He sold 391 Commonwealth in September of 1889. In June of 1893, Josiah Kendall was declared insolvent. On June 19, 1893, the Naumkeag National Bank of Salem foreclosed on a mortgage it held on 389 Commonwealth and sold the property to George Wheatland, Jr., who transferred it to Elizabeth Kendall on the same day. 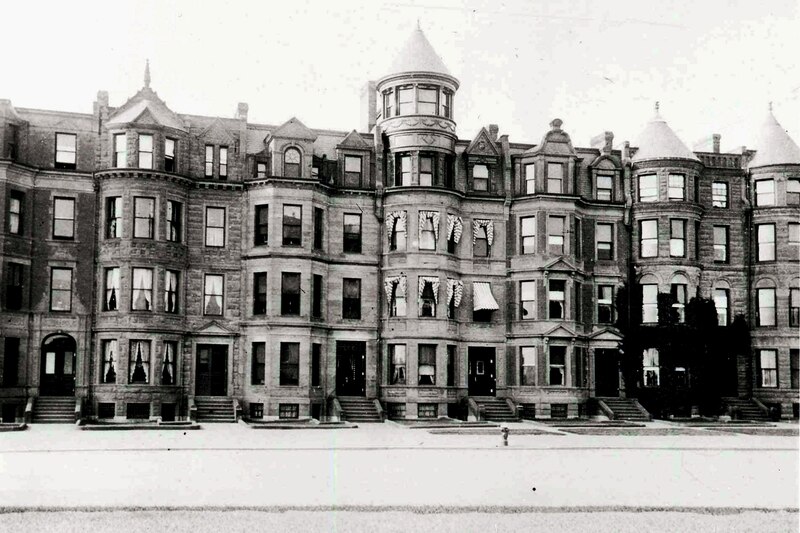 In September of 1895, Elizabeth Kendalls purchased The Colonial apartments at 382 Commonwealth. George Wheatland, Jr., acted as conveyancer of the property, including providing a mortgage to the Kendalls to finance the purchase. Josiah Kendall died in June of 1897. 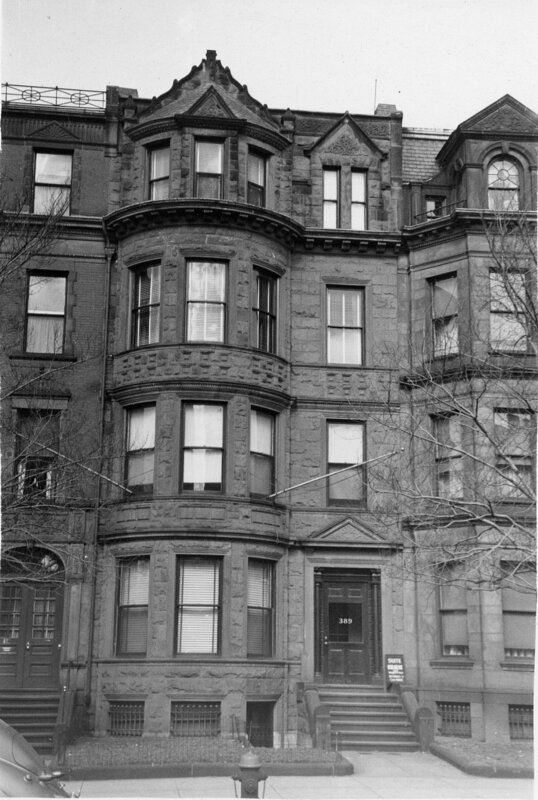 Elizabeth Kendall continued to live at 389 Commonwealth during the 1898-1899 winter season, but moved thereafter to Brookline. 389 Commonwealth was not listed in the 1900 and 1901 Blue Books. 389 Commonwealth (ca. 1898). detail from photograph of 381-389 Commonwealth; © The Mary Baker Eddy Collection; used with permission. On May 9, 1901, 389 Commonwealth was acquired from Elizabeth Kendall by her daughter-in-law, Harriott Martha (Magoun) Kendall, the wife of Frederick Kendall, a hide and leather dealer. Frederick and Harriott Kendall made it their home. They previously had lived in Hanover. 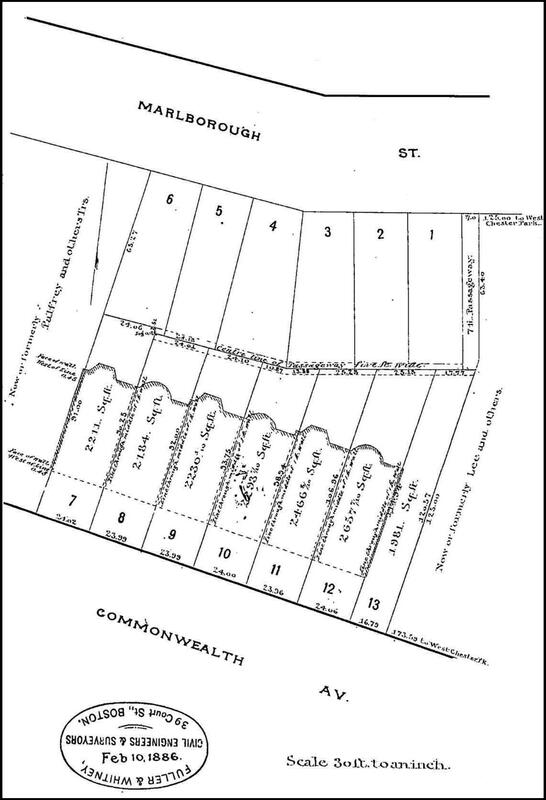 In March of 1906, George Wheatland, Jr., foreclosed on the mortgage on The Colonial at 382 Commonwealth given by Elizabeth Kendall and took possession of the property. In April of 1908, it was acquired from him by Harriott Kendall. 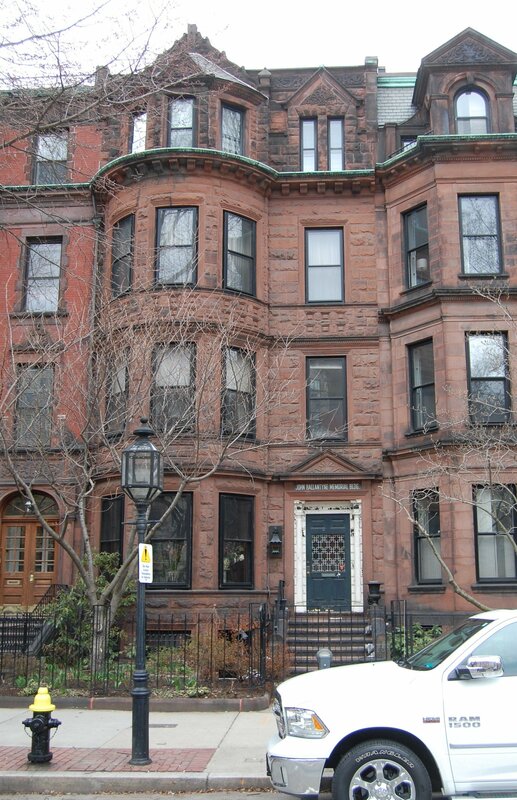 The Kendalls continued to live at 389 Commonwealth during the 1909-1910 winter season, but moved thereafter. By 1911, they had moved to The Colonial, where he died in October of 1911. On May 16, 1910, 389 Commonwealth was acquired from Harriott Kendall by Benjamin H. Woodsum, an attorney, and on May 17, 1910, he conveyed the property to Marie Glass (Burress) Currier, the wife of Guy Wilbur Currier, an attorney in the same firm. The Curriers previously had lived at 298 Newbury. They also maintained a home in Methuen. Prior to the Curriers’ marriage in June of 1894, Marie Burress had been an actress, a leading lady with the Boston Museum stock company. By 1914, she had become active in the women’s suffrage movement, serving as president of the Players’ National Equal Suffrage League. In 1920, she established Mariarden Theatre in the Woods in Peterborough, New Hampshire, described in an April 1922 advertisement in Theatre Arts Magazine as a “an outdoor stage for professional performance” and “a summer school for students of the drama and of stage dancing.” Among the actors and actresses who came to Mariarden were Bette Davis, Walter Pidgeon, Paul Robeson, and the Bennett sisters: Joan, Constance, and Barbara. 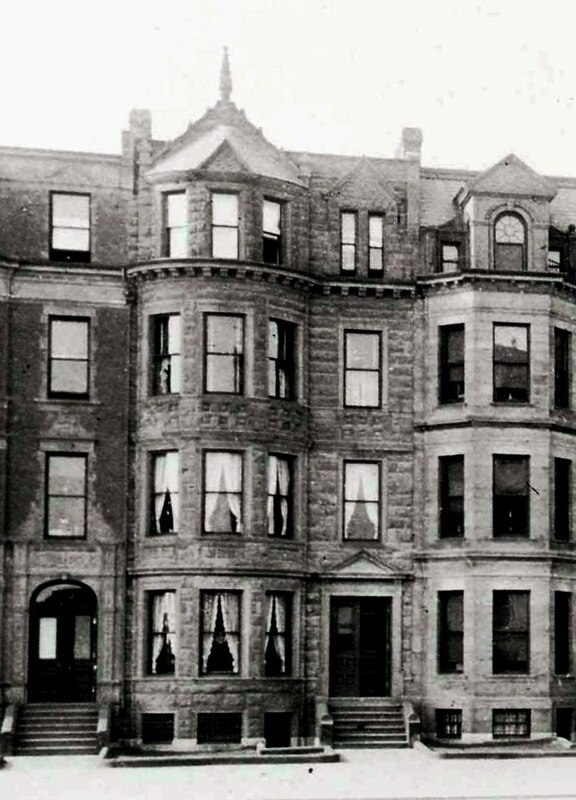 The Curriers continued to live at 389 Commonwealth during the 1916-1917 winter season, but moved thereafter to 8 Commonwealth. 389 Commonwealth was not listed in the 1918-1922 Blue Books. On October 24, 1921, 389 Commonwealth was acquired from Marie Currier by their daughter, Anne (Currier) Lindsey, the wife of Kenneth Lovell Lindsey, president of the Boston Pottery Company in East Boston. They previously had lived at 95 Mt. Vernon. They continued to live at 389 Commonwealth during the 1922-1923 winter season, but by 1924 were living in Osterville. On January 21, 1924, 389 Commonwealth was acquired from Anne Lindsey by Natalie (Morrison) Farmer, the wife of Allan Brown Farmer. They previously had lived at the Hotel Buckminster at 645 Beacon. They also maintained a home in East Gloucester. Allan Farmer was a jeweler, with a specialty in pearls. They continued to live at 389 Commonwealth during the 1928-1929 winter season, but had moved to New York City by 1930. In July of 1933, the Lodge applied for (and subsequently received) permission to remodel 389 Commonwealth into offices for the lodge and one dwelling unit for the caretaker. During the early 1930s, the Knights of Pythias also made rooms available to the American Theosophical Sociey. In November of 1939, the Lodge applied for (and subsequently received) permission to increase the number of apartments from one to two. In February of 1943, the Lodge was cited with a building violation because its tenant on the third floor was operating an interior decorating business from the house. Attorneys for the Lodge assured the Building Department that the business activity would cease. In April of 1946, the Lodge applied for permission to increase the number of apartments from two to three. It subsequently abandoned the permit. In March of 1958, the Lodge applied for (and subsequently received) permission to increase the number of apartments to four. On September 5, 1973, 389 Commonwealth was purchased from the Knights of Pythias Lodge by Dr. James J. Daly, a physician specializing in pathology, and his wife, Dr. Daisy DePeralta-Daly, a physician specializing in gastroenterology, as trustees of the 389 Commonwealth Avenue Realty Trust. They lived in one of the apartments at 389 Commonwealth and maintained their medical offices there. 389 Commonwealth remained an apartment building in 2018.